Though we are gradually planning improvements to our site (a webcomic was a good start, right? ), we recognize that we have been a bit…slow…in adding forums and message boards for you to connect with other fans. But that’s why great guys like Garrett have created sites like yenplus.info to share their thoughts on the latest issues, all of our features, and pretty much everything else going on with Yen Plus. So why not register and share what you think? And hopefully in the foreseeable future we’ll have some fancy, totally tricked-out new message board for you to…okay, hopefully we’ll have a message board for you to chat with one another right here at www.YenPress.com! Yay! Sweet, thanks for the linkage… again! Maybe I can actually get some people besides myself to post in the forums now! But ya know, I don’t just make fan sites in my spare time… I’m actually a web developerfor my eight-to-five job (that means I do programming, but not design so much, explaining the rather lame design for Yen Plus Info). And lately I’ve been taking steps to pick up some freelance work on the side to pad my piggybank.  So if you guys are considering upgrading the official Yen Press site, and are looking for a web developer with years of professional experience building interactive web sites and who’s also a fan of comics (does that make me a double nerd? )… I’d love to work together with you guys to make Yen Press’s official site a great (and official) fan community! Okay, that’s probably a fantasy. But just thought I’d throw that out there. Been there, posted in there. more people register Pl0x! @Demio: I agree! We need more people to join!